Nodejs is asynchronous I/O, its high throughput makes it very popular nowadays. Although the idea is very appealing, but it doesn’t means that your code will benefit it. Asynchronous programming is not just organise your code with callbacks. Callbacks could be synchronous too. 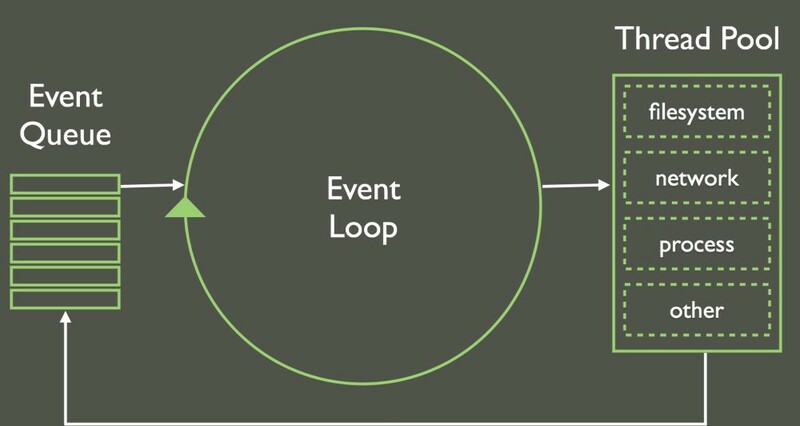 How can you create an asynchronous function in nodejs? And how does it work? There are other useful resources on the internet, when reading these resources, you will see following terms: callstack, single thread, process.nextTick, setImmediate, I/O, polling, etc. If you don’t have a CS degree, it may take you some time to understand what they are, and how they behave in async I/O. But there are still problems in this business process. Imagine one day is your big day, you have 80 new small cases, each takes you 1 hour to translate. You finished one document from todo list, you check the new small cases, and put them at the end of todo list. That’s is to say, in the future, at some time, you will start to translate those 80 small documents one by one, which will take you in total 10 days (you work 8 hours a day). It blocks your large case for 10 days! You can image how angry your large client is. You are a smart business man. You improved your business process: when you cut document in pieces, you don’t just put them at the end of the todo list. You add an option to insert it before the first small case in todo list in order to translate it before any existing small cases in the todo list. You can’t do this for all the cutting pieces, that will block the small cases too. So it is up-to-you to decide which piece to translate before existing small cases, and which piece to translate after existing small cases. (You can imagine that you make your decision by priority or urgence. Urgent document insert before small cases, otherwise append it at the end of todo list). So we say, your business is reactive, you are only one person, but you can handle multiple cases and make all your clients happy! Now you know how to run a translation business in a smart way. Let’s go back to computer science world. This article is not to demonstrate how nodejs actually works. The underlying implementation could use multiple queues, and different policies to schedule tasks. But the idea is the same: allocate a limited resources to satisfy the consumer’s requirement in a timely manner.